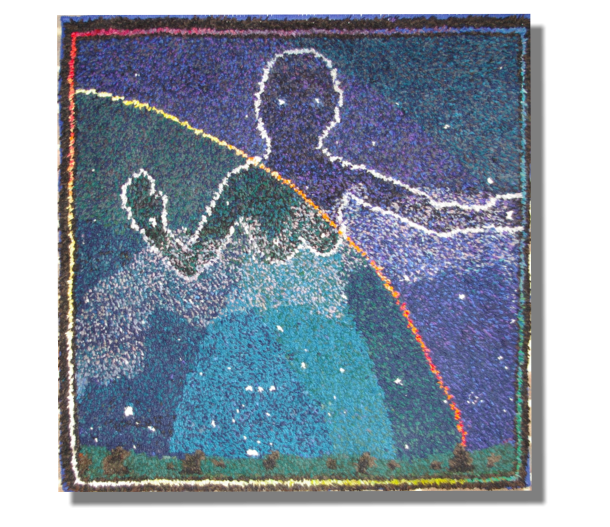 The Star Goddess Rug © Jon Appleton 2010 She rises from her sea of stars again, High in the south on midwinter night. With arms spread wide to bless all here on earth, Our lady gazes down with eyes so bright. Fuller explanations about this rug can be found on the Star Goddess page of this site. Click on the rugs below to find out more about them.